I have written previously about what to do if your car is damaged while in for service. The Garagekeeper Liability Act is the law in Michigan which shifts the burden onto the shop for damage that happens to your car while it is in their possession, and many states have similar statutes. But what about stuff stolen from your car while it is in their possession? Same thing. It depends on what is stolen from your car but the shop is still on the hook. In 23 years of handling auto warranty claims, I have spoken to people who have had all kinds of things stolen from their cars by people at dealerships and garages. From personal belongings and CDs to things that required tools to remove. Whole stereos pried from dashboards, wheels, and body parts. It is amazing. And the phone calls to the clients would be funny if they weren’t so pathetic. If any integral part, appliance or equipment, any spare tire fastened to such motor vehicle or any part, appliance or equipment locked in or to such vehicle shall be removed or shall disappear therefrom while such vehicle is so held, proof of such removal or disappearance shall be prima facie evidence of conversion by the owner or keeper of the garage or other establishment where such vehicle was so held. Michigan has a law that says a person who converts something is liable to the owner for treble damages. Your stereo was stolen while in this shop? They now owe you three times the value of the stereo. Plus attorney fees and court costs. MCL 600.2919a. Hey, I don’t make this stuff up. So, when they call you and ask you if you have insurance tell them you know how this works and they better file a claim with their insurance company. Fast. Before you hire a fancy-pants attorney and make them pay you more than was stolen from you. 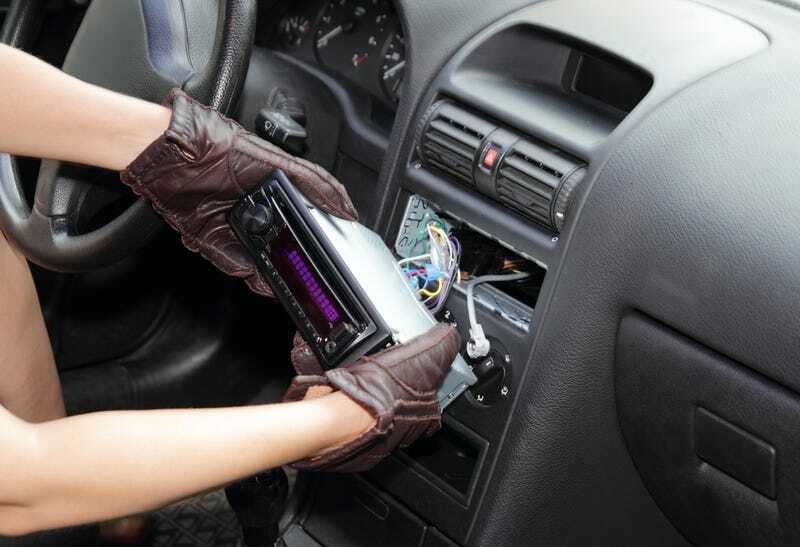 And the stuff stolen does not have to be attached to the car for you to recover damages. Things inside the car might not be covered by Garagekeeper Liability but they would still be covered by the conversion statute. I once brought a car in for service and while it was still in the “lane” being written up, an employee of the dealer moved it and helped himself to some money that was in the car. I was less than 20 feet away but I guess the free money was too tempting. The service manager pulled out his wallet and paid me in cash out of his own pocket when I explained what happened.